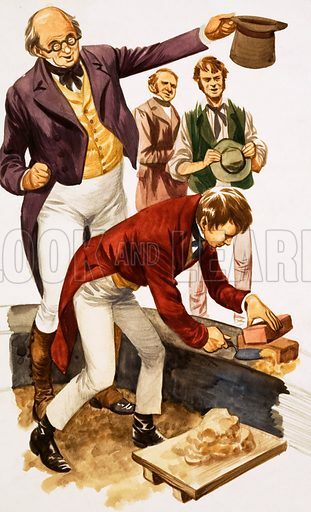 When They Were Young: Isambard Kingdom Brunel the Builder. Brunel and his father worked together to make a tunnel under the Thames. Original artwork from Treasure no. 177 (4 June 1966). Originally printed in black & white. Available worldwide for immediate download up to 3,118 x 5,131 pixels.